Championship clubs are in action tonight - but that hasn't stopped the rumours from mounting off the pitch. 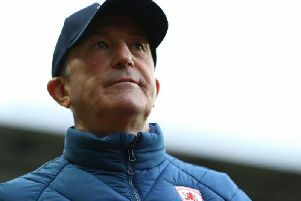 Middlesbrough manager Tony Pulis believes his side have lacked luck so far this season. On the transfer front, a Premier League winner has opened the door to a Leeds United move while Aston Villa face fierce competition for a Scottish centre-back.